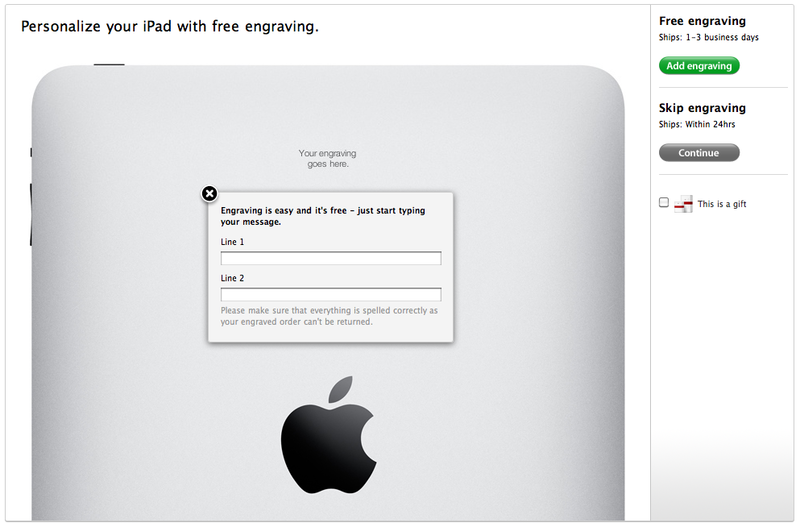 Apple is looking to capitalize on the popularity of its iPad tablet this Christmas, offering free engraving on every unit sold via its online store as of today. The personalised engraving will operate much the same as Apple’s iPod range, allowing customers to choose up to two lines of free text to be laser engraved on the back of the device. When a customer adds an iPad to their Apple shopping cart, the option will be given to customers after they have selected or skipped the purchasing of additional accessories. As AppleInsider states; by engraving your iPad, it becomes a non-returnable item and will also push back the shipping date from “Within 24 hours” to “1-3 business days”. 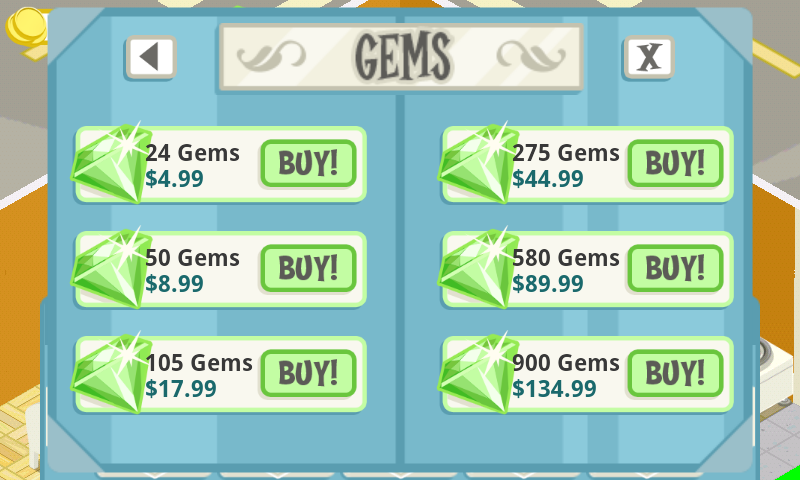 As the Christmas season approaches, the iPad is tipped to be one of this years top-sellers. Apple has made a huge effort to cope with demand for its iPad over the past few months, ramping up production to reduce its supply shortages from what was once a 3 week shipping wait, down to just a day. 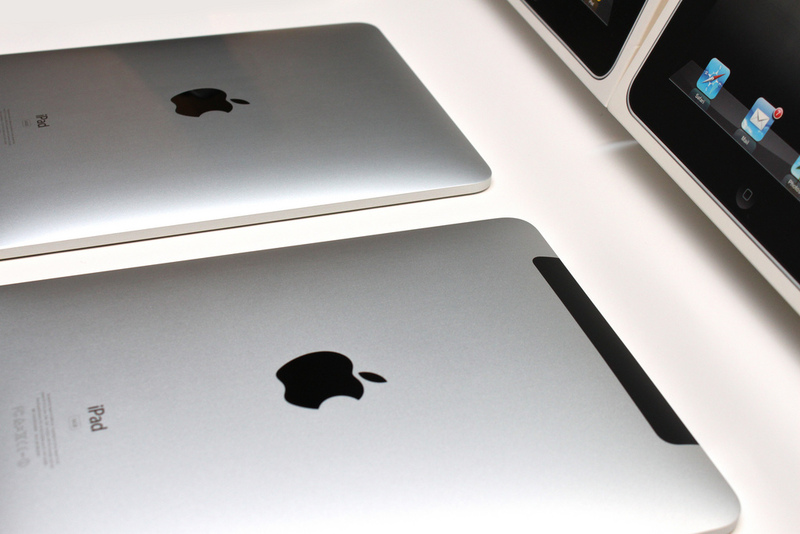 Analysts have suggested Apple will struggle to cope with demand, an engraving option could help Apple space out deliveries with a longer shipping date. iPad engraving looks to available on online Apple Stores across the world, will the engraving option make you more willing to buy the highly-regarded Apple tablet device?